Latest fashion Kundan jhoomer, earrings and tikka set light gold with medium antique and orange. Set with kundan chip and diamante stones. 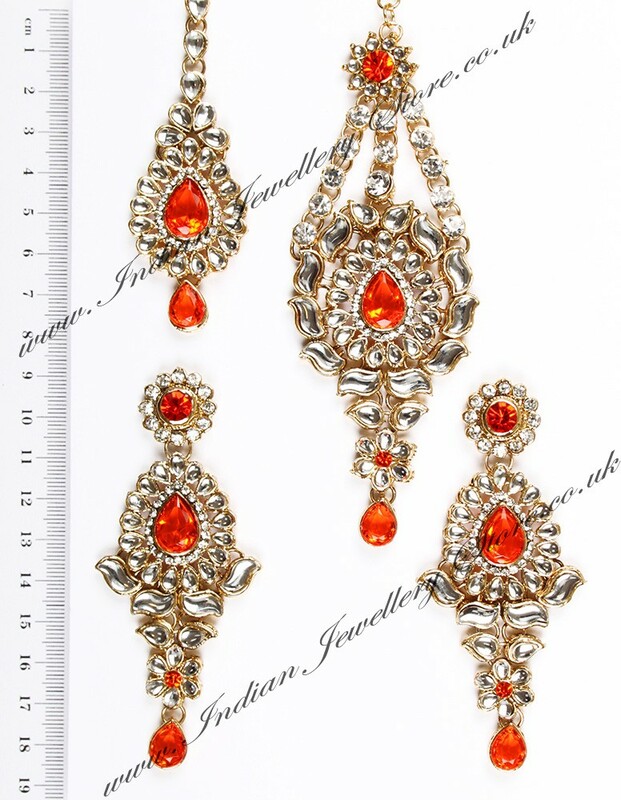 Set includes: earrings, tikka and passa. Other colours available. Scale shown in image is in cm.